This revised brand mark replaces the original logo designed in 2005 by Joe Kral and Cuban Council, which used Process Type Foundry’s font Klava as a starting point. You can read more at Under Consideration's website Brand New by clicking here. 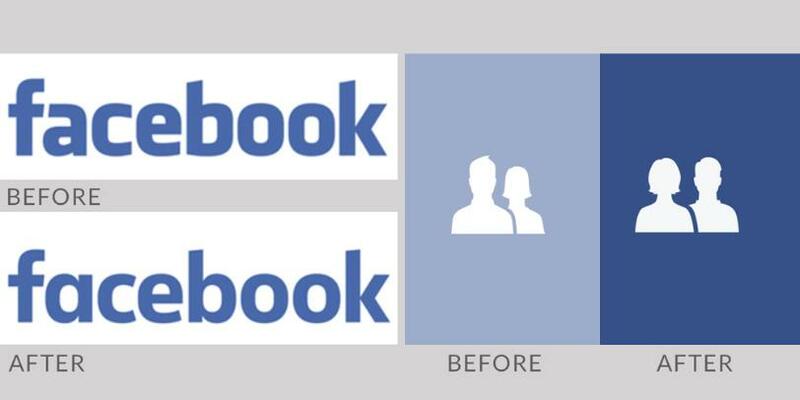 Another of Facebook's iconic logos which is also changing is the small friends icon. The image of a man and a woman that sits in the corner of the sites pages will soon look different thanks to the company’s in house designer Caitlin Winner. Click here to read npr.org article, which features more from Caitlin Winner and the icons recent change.